The cruise industry is booming, thanks to its promise of spectacular views, exotic locales and floating luxury. But as the appetite for ocean travel rapidly grows, there’s been growing concern about its environmental impact. Fish scraps might be part of the solution, according to a Norwegian cruise operator. 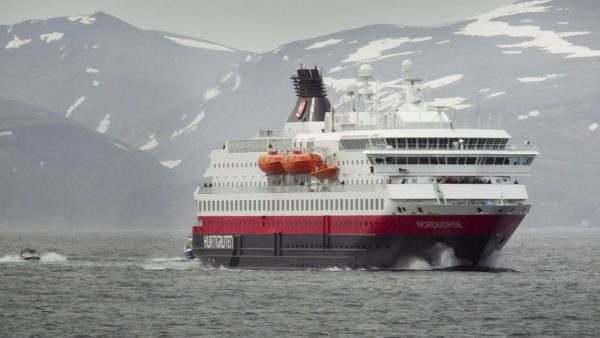 Hurtigruten, known for its trips through Norway’s fjords and to the Arctic, will power a fleet of ships partly through liquified biogas — which is produced as dead fish and other organic waste decompose, the company said in a press release. High-sulfur fuel favored by the shipping industry has been found to produce sulfur oxides, a contributor to the acidification of seas and rain. Concern over the issue led to the International Maritime Organization to set a 0.5% sulfur limit on marine fuel by 2020. A 2017 report by German environmental association Nature And Biodiversity Conservation Union (NABU) found that a midsize cruise ship can use well over 100 tons of fuel a day, producing as much particulate as a million cars. The 125-year-old Norwegian company, which operates 17 ships, plans on at least six of its ships to be operating on a combination of biogas, liquified natural gas and large battery packs by 2021. “While competitors are running on cheap, polluting heavy fuel oil, our ships will literally be powered by nature,” Hurtigruten Chief Executive Officer Daniel Skjeldam said in a statement. “Biogas is the greenest fuel in shipping and will be a huge advantage for the environment. We would love other cruise companies to follow,” he added. The company is taking other steps to boost its green credentials: it has ordered three new hybrid-powered cruise liners, has banned single-use plastics from all its ships and plans on becoming carbon neutral. “Sustainability will be a key driver for the new era of shipping and the travel industry… Our ultimate goal is to operate our ships completely emission free,” Skjeldam said. Sign up for our newsletter and keep up to date on our hand selected picks!